Many people including some children killed in a suicide attack carried out by one man after a Ariana Grande concert in Manchester. 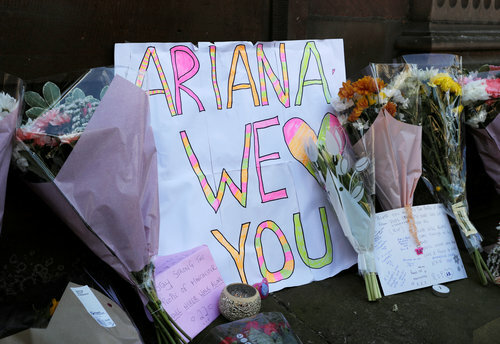 Britain's domestic intelligence agency MI5 said on Tuesday it was revolted by a suicide bomb attack in Manchester, which killed 22 people and injured dozens more at a British concert by U.S. singer Ariana Grande. "Everyone at MI5 is revolted by the disgusting terrorist attack in Manchester last night," Director General Andrew Parker said in a statement on MI5's website. "We remain relentlessly focussed, in numerous current operations, on doing all we can to combat the scourge of terrorism and keep the country safe," he said. 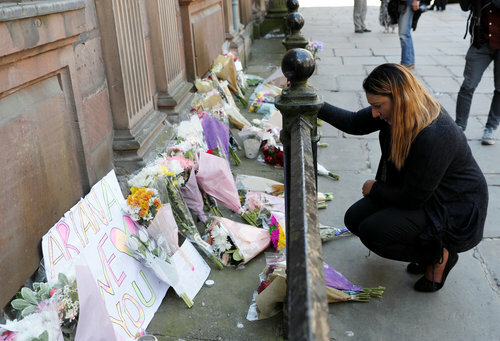 Queen Elizabeth expressed her deepest sympathy on Tuesday to all those affected by the suicide bomb attack in Manchester, which killed 22 people and wounded dozens at a British concert by U.S. singer Ariana Grande in the English city. "The whole nation has been shocked by the death and injury in Manchester last night of so many people, adults and children, who had just been enjoying a concert," she said in a statement. "I know I speak for everyone in expressing my deepest sympathy to all who have been affected by this dreadful event and especially to the families and friends of those who have died or were injured." 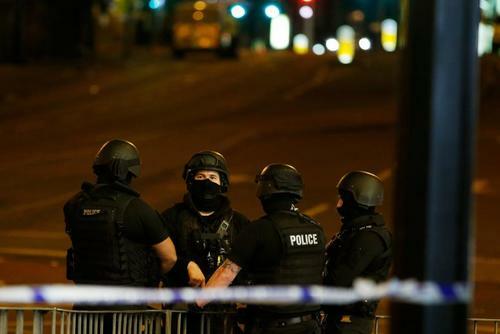 Police said they arrested a man at a major shopping centre in Manchester that was temporarily evacuated on Tuesday, but do not believe the incident was connected with the attack that killed 22 people in the same northern English city. "A man has been arrested at the Arndale Centre – this is not currently believed to connected to last night's attacks," Greater Manchester Police said on Twitter. A Reuters witness said police had begun removing the cordon and workers were slowly being allowed back into the centre after it was closed earlier on Tuesday. At least 22 people, including some children, were killed and 59 were wounded when a suicide bomber struck as thousands of fans streamed out of a concert by U.S. singer Ariana Grande in the English city of Manchester on Monday. 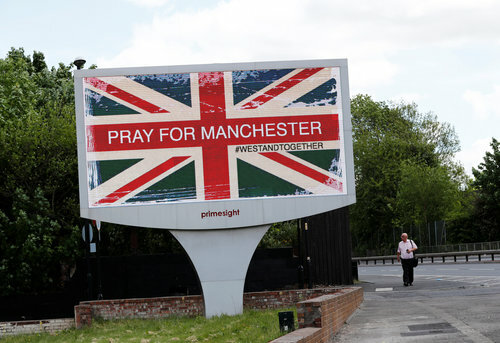 Reuters UKEntertainment and sportscelebrities took to social media to express sadness and shock inthe aftermath of the bomb attack in Manchester that killed atleast 22 people. Islamic State claimed responsibility for Monday's deadly attack at the Manchester Arena and said it was carried out with an explosive device planted at the concert, according to a statement the group posted on Telegram. 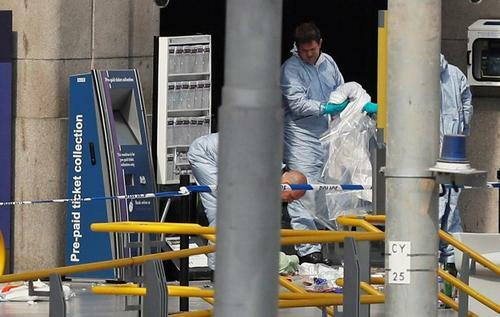 "One of the soldiers of the Caliphate was able to place an explosive device within a gathering of the Crusaders in the city of Manchester," the statement said. U.S. says President Trump spoke with UK PM Theresa May about Manchester attack, agreed that it was "particularly wanton and depraved". A number of people remained seriously wounded and over a dozen children were hospitalized after a suicide bomb attack in Manchester killed 22 people and injured dozens more at a concert by U.S. artist Ariana Grande, medical officials said on Tuesday. "There are a number of individuals who have very, very serious injuries and are requiring intensive care and people who are going to be in hospital for a long time in terms of that treatment," Jon Rouse, Chief Officer of the Greater Manchester Health and Social Care Partnership said. "12 children went to Royal Manchester Children's Hospital... The other hospital received mostly adults and then there were walking wounded which will have gone to different centers, some of which would have been children," North West Ambulance Service Medical Director David Ratcliffe said. Jose Mourinho: "We're all very sad about the tragic events last night; we can't take out of our minds & hearts the victims & their families. Reuters UKQueen Elizabeth expressed her deepest sympathy on Tuesday to all those affected by the suicide bomb attack in Manchester, which killed 22 people and wounded dozens at a British concert by U.S. singer Ariana Grande in the English city. * Death toll: British police said 22 people, including children, were killed and 59 people had been treated in hospital after a bomb attack at a Manchester concert by U.S. singer Ariana Grande. A total of 60 ambulances attended the incident. Many of the fans at the concert were young people. The explosion sparked panic as thousands of people rushed for the exits, witnesses told Reuters. * Police said they were called at 10:33 p.m. (2133 GMT) just after a man detonated explosives among fans. *British police said they arrested a 23-year old man in connection with the incident. 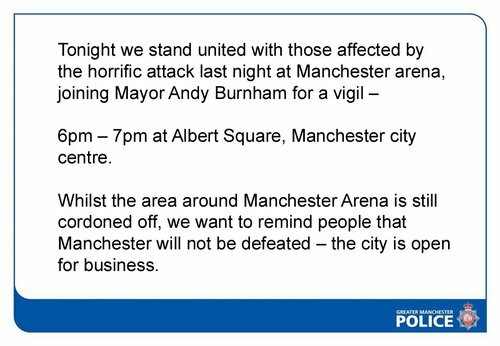 "With regards to last night's incident at the Manchester Arena, we can confirm we have arrested a 23-year-old man in South Manchester," Greater Manchester Police said on Twitter on Tuesday. 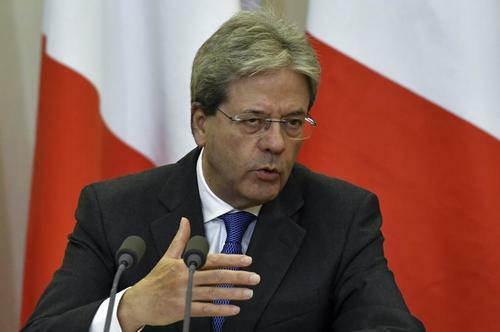 Reuters UKG7 leaders meeting in Sicily this week will make a common commitment to fighting terrorism in the wake of the suicide bombing that killed 22 people in Manchester, Italian Prime Minister Paolo Gentiloni said on Tuesday. 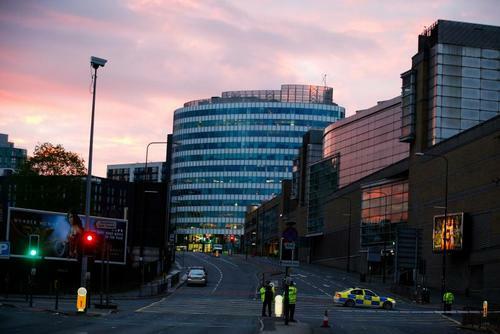 Reuters UKBritain's terrorism reinsurance fund Pool Re will work with its members to resolve any claim arising from the suicide bomb attack in Manchester, chief executive Julian Enoizi said on Tuesday. Reuters UKBritain's domestic intelligence agency MI5 said on Tuesday it was revolted by a suicide bomb attack in Manchester, which killed 22 people and injured dozens more at a British concert by U.S. singer Ariana Grande. A suicide bomber killed at least 22 people and wounded 59 at a packed concert hall in the English city of Manchester in what Prime Minister Theresa May called a sickening act targeting children and young people. BREAKING: Manchester police say a controlled explosion took place in Fallowfield as part of investigation into last night's attack. 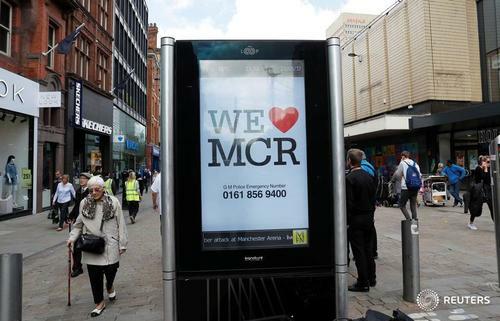 Police in the British city of Manchester said they had carried out a controlled explosion in the Fallowfield district to the south of the city centre, as part of their investigation into a bomb attack on Monday which claimed 22 lives. 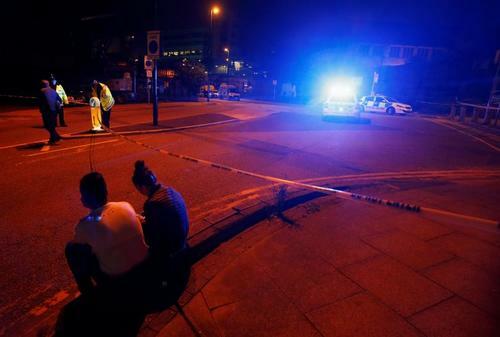 "Police have executed warrants, one in Whalley Range, and one in Fallowfield, where a controlled explosion took place, as part of the investigation into last night's horrific attack at the Manchester arena," Greater Manchester Police said in a statement. Reuters UKIran condemned a suicide attack at a pop concert in Manchester that killed 22 people, but in an apparent swipe at Western security cooperation with Gulf Arab states said "artificial alliances" would not eliminate such threats. G7 leaders meeting in Sicily this week will make a common commitment to fighting terrorism in the wake of the suicide bombing that killed 22 people in Manchester, Italian Prime Minister Paolo Gentiloni said on Tuesday. Gentiloni told reporters the leaders from the Group of Seven rich nations gathering in Taormina from Friday would send "the strongest possible message of a common, extraordinary commitment against terrorism." 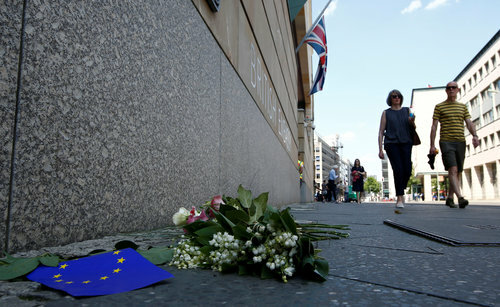 Gentiloni said he would speak shortly on the telephone with British Prime Minister Theresa May to express Italy's solidarity and condolences, and added that at the moment there was no news of any Italians killed or injured in the attack. At the G7, "we will have the opportunity to reiterate together that the cowardice that destroys the lives of young people will not prevail over our freedom," he said. Reuters UKIslamic State claimed responsibility for Monday's deadly attack at the Manchester Arena and said it was carried out with an explosive device planted at the concert, according to a statement the group posted on Telegram. 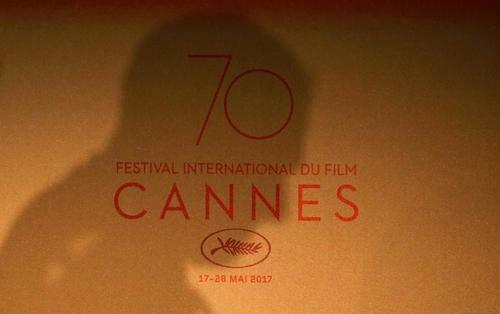 Reuters UKFilmmakers and fans at Cannes will hold a minute's silence on Tuesday for the victims of the Manchester bombing, condemned by the film festival's organizers as an "attack on culture, youth and joyfulness". The United States has not confirmed an Islamic State link to a suicide bombing that killed at least 22 people at a concert hall in the British city of Manchester, despite the militant group's claim of responsibility, the top U.S. intelligence official said on Tuesday. "I might mention that ISIS has claimed responsibility for the attack in Manchester although they claim responsibility for virtually every attack. We have not verified yet the connection," Dan Coats, the Director of National Intelligence, told a hearing before the Senate Armed Services Committee, using an acronym for Islamic State. London police say specialist officers are now reviewing in detail all the plans for upcoming public events in the capital. 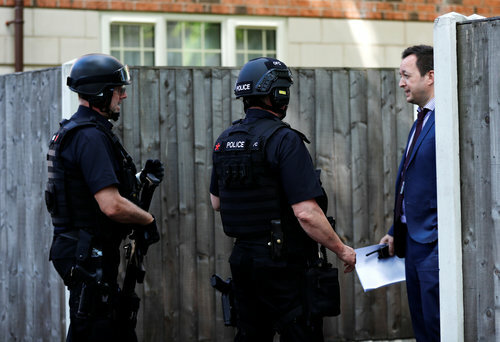 London police say new security plans will involve an increase in armed and unarmed officers on highly visible reassurance patrols around key locations. London Police say they will deploy extra armed officers at Wembley Stadium and Twickenham's Rugby Stadium. In the immediate aftermath of awful events, it is tempting but usually wrong to assume far-reaching consequences...The Manchester attack will nonetheless change the agenda. Read Peter Thal Larsen's latest BreakingViews column on the Manchester attack and it's possible political impact. British Prime Minister Theresa May said on Tuesday that the police and security services were looking into whether others were involved in a suicide bomb attack which killed 22 people in the northern English city of Manchester. British police said earlier that they had arrested a 23-year old man in connection with the attack at the Ariana Grande concert. "I’ve been talking to the police about the investigation that is continuing, and they and the security services are working, obviously, to identify whether there was a wider group of people involved in this particular incident," May told BBC Television. May said the authorities will be looking at the security of venues to ensure public safety ahead of summer events.